Charles Conder Primary believes in providing opportunities to all children to meet their needs which includes the Physical Education (P.E) and Health needs. We have a specialist P.E teacher who provides explicit lessons including fundamental movement skills, games and sports, diagnostic fitness assessments and components of the Fresh Tastes Program. We also have the Ride and Walk to School Program whereby the school has a class set of bikes providing a range of opportunities for the children to learn about bike safety. The school works in conjunction with Royal Life Saving in providing swim and safety programs each year from K - 6. 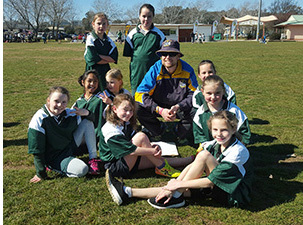 The school participates in Cross Country, Swimming and Athletics Carnivals each year to provide an active lifestyle and sport participation.